This is Us is one of my favorite shows on TV right now (ok, it's my favorite). The story is fresh, compelling and raw. The characters are normal. They have struggles. They are dealing with the daily problems of life. Our church just finished a seven week teaching series on our core values. Instead of calling it our core values we called it: "This is Us". The sermon series was a huge hit!Understanding the show is what lead to us doing a sermon series by the same title. About a year ago God led us to Ventura to revitalize a church that was in trouble. I didn't realize how bad things were until we got here. I was in a conversation with a guy who told me, "I thought the church was going to close the doors." Those things happen at churches, but God loves this place too much! 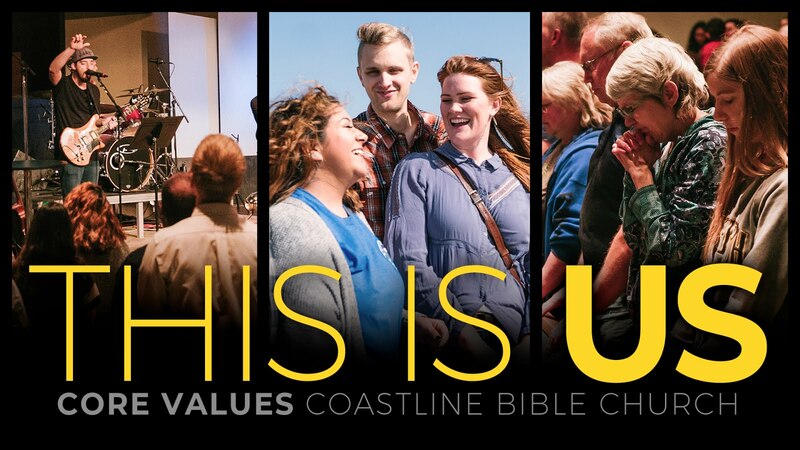 Our leadership dug in, gave more and invested more to seeing Coastline move into the future as a healthy church. We casted new vision, restated our core values and simplified our mission to be laser focused. The core values were crafted in team unity. We looked at our core values that had great intentions but were outdated. They used language that wasn't really how people talk. During the process someone said, "Our old core values were written in the King James Version of the Bible and the new ones are written in the New International Version." Those are the kind of values you want! Core values that anyone can read and understand. Here are the Core Values in no particular order except we always think "We Put God First" needs to be on top. Understand this, these core values are the best version of ourselves as a church community. We are not perfect but strive for this!